Sloan Ford History | Sloan Motors Inc. Since 1921, the name Sloan has been associated with a Ford automobile dealership in Chester County. It was just 18 years after Henry Ford built his first horseless carriage that G.W., "George Walter" Sloan, opened a Ford dealership in the southern Chester County farming community of West Grove, Pa. Today that legacy lives on through Sloan Ford of Exton. The driving force behind the success of the second Sloan dealership had been James C. Patterson, Jim. On a snowy November day in 1953, Jim combined talents with G.W. and his son, Mercer. First Jim turned wrenches as mechanic. After a few years, Jim joined the sales team, soon to prove a leader in sales for the company. When the opportunity to acquire his own dealership arose, Jim partnered with Mercer. In February 1965, a dealership location was found in Downingtown. And with the financial backing and encouragement of Mercer Sloan, Jim and Ruth borrowed a piece of the Sloan Family heritage and opened a new Ford store, Sloan Motors of Downingtown. The 1970s brought a lot of growth to the area, and the dealership met the needs of the county once again. Less than a decade after opening, the cramped six-bay garage could not accommodate the growing business. So, on April 15, 1973, Sloan Motors moved to its present 4.5-acre site at 415 W. Lincoln Highway. The seventies (1972) also welcomed a second generation of Patterson, Jim's and Ruth's son, Steve. 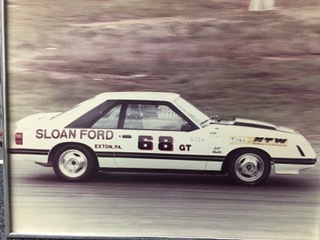 As did his father, Steve worked as a master technician before a career in sales, then management, to president of Sloan Ford. Over the last 20 years, Steve transitioned the company from paper and pencil to computerized systems, through three building renovations, and on to advanced technologies in service and sales with digital platforms. 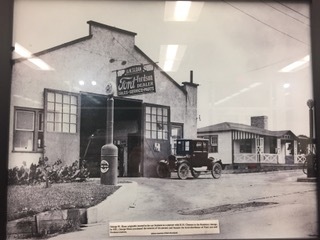 Almost 100 years after the first Sloan dealership in Chester County, today's Sloan Ford still operates under the timeless values of hospitality, honesty and community- 'looking out for the neighbor.' The Patterson family welcomes you come in and meet our Sloan Ford Family of certified quality service and sales teams. We hope to see you soon.